・2018 Nov 2　Credit card payment OK. Looking from the neighboring island of Bohol, the Spaniards once called the island of Siquijor "Isla del Fuego" or "The Island of Fire" because of the glow emanated by the swarm of fireflies. 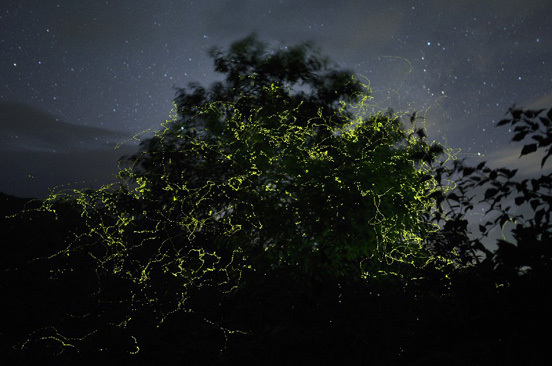 In the past, Siquijor was blessed with the forests of trees called "molave" among which fireflies nestled. Molave tree is considered a quality building material and mostly vanished today for the reason. I have looked for the traces of the fireflies from olden times and found several spots that can be viewed from the roadsides 20 minutes away from Villa Marmarine. I named the area "Firefly Road." I have brought many guests since then but always found it difficult to photo, hoping to show the world maximum of 300 to 500 glowing fireflies gathering around one tree like a Christmas tree. Coincidentally, a famous professional insect photographer from Japan, Mr. Kazuo Unno visited us and photographed the attached photo. What wonders me is that they gather around only this tree among many. The locals also revere this tree, saying a spirit resides it. Fireflies can be seen all year around here, even in Christmas and New Year, on the contrary to the fact that they are only seen from end May through early June in Japan. Being able to see hundreds of fireflies is always not the case but our guests are always impressed by even 20 to 30 fireflies flying over a tree. They sometimes come in our cottages and fly over mosquito nets. 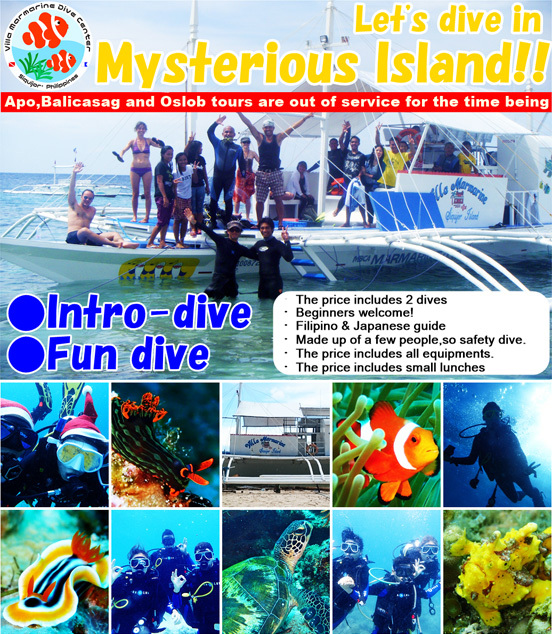 I hope that "Mystical Island - Siquijor" will also remain as "Isla del Fuego" or "The Island of Fireflies" for the next generations. I stayed at Villa Marmarine for the last week of a five week Philippines vacation. All things considered, this was my favorite spot for a few reasons: A thousand 'thank you' !! We have spent 2 weeks in Villa Marmarine. It was magical. We liked the welcome and availability of Mr. Dagman who pays lot of attention to the coｍfort of his customers. Hi Marmarine staff! In behalf of our group who just stayed there, I would like to say thank you for your extreme kindness and hospitality. I have visited a lot of places here in the Philippines but nothing compared to you guys in Marmarine. Mr. Harada was an ex-elementary school teacher in Hiratsuka city, Kanagawa Prefecture, Japan. He is an active volunteer of the Junior Red Cross for many years. He carried out a unique education method that he learned in the Junior Red Cross. Mr. Harada is called "Daman" by many children, and they are so close to him. He applied to teach a Japanese school abroad to gain better understanding of foreign culture, behavior and characteristic. He started to work in Beirut Japanese School in Lebanon which that time was under the civil war in 1975. Because the civil war intensified during that time, he was transferred to Kuwait. He taught them about the Switzerland camp school to make the children of Kuwait Japanese School to know the green country of Switzerland. He worked in Kuwait for 2 years and six months, and then he come back to Beirut which was still under the civil war to restart the Beirut Japanese School. When he arrived in Beirut, Beirut Japanese school was already closed. He worked in a Japanese school abroad with a purpose which is to reopen Beirut Japanese School. worked in a Dutch Japanese school. His goal for Beirut Japanese School was failed. And so, he moved to Holland and Seven years after his resignation (Dutch Japanese School), he decided to stay and to have a permanent residence in the Philippines. He has a good relationship with the local residents and finally finds a good place to settle down for good in the Island of Siquijor in the Philippines from 2004 until present. He has dreams to do great things for the children of the island while doing a beach resort. With Japanese TV "Warm World Family"
Mr. and Mrs. Harada, Villa Marmarine owner was introduced. You can see the situation of a program from here. I introduced and cooked them some European delicacies, and it's my great honor for they like it so much! especially Dagman and Mamarie. This place is really such wonderful place to stay and it's suitable to stay along with your family, and friends in the paradise-like island especially in Villa Marmarine, so what are you waiting for! Come and visit the resort and you'll see the difference. And to Dagman and Mamarie Harada!. Thank you very much! 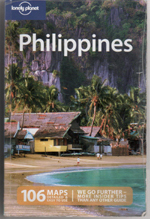 10% of our sales are used for education of the children in Siquijor Island.